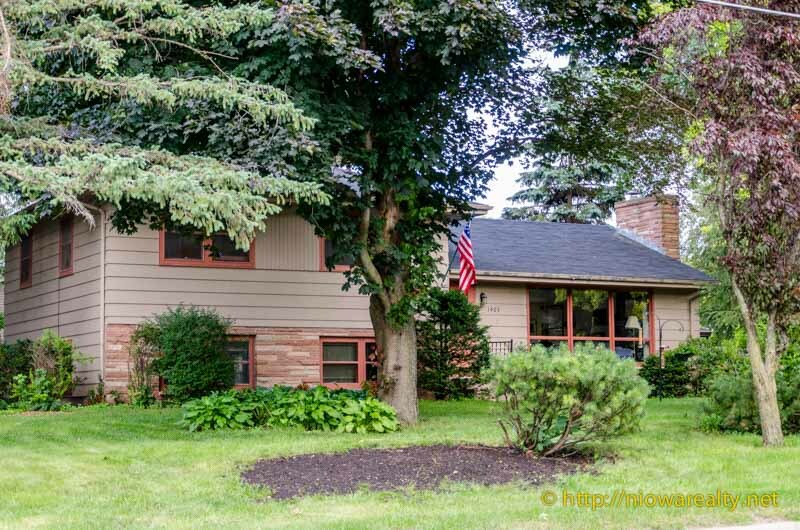 Share the post "Under the Radar Value"
A little over a month ago I listed a home on the east side of Mason City that I thought would sell rather quickly but for some reason or other, the prospective buyers who crawl through the internet looking at photos of homes don’t look at the whole picture of this property. This home is located a stone’s throw from Stone Pillar where nearly all the homes sell for well over $200K. What I find very inviting about this home is number one, the lot size. There are fully mature trees on this nearly half acre parcel which not only provide beauty, but also great shade against the hot summer sun. This home was custom built and offers an extra roomy quad-level floor plan. Most homes in its district that offer four bedrooms, 1 ¾ baths, and a double garage would be far greater in price. There is a wood burning fireplace in the living room, a lower level rec room, and a private rear patio. Anyone owning a recreation vehicle would definitely enjoy having a place to park it behind the garage of this property on the existing concrete slab. I had a good laugh today with another Realtor about the tastes and wants of many of today’s buyers. She said, “I don’t understand why buyers are so extra-particular about colors and general decorating. They evidently want to haul in all their over-sized living room furniture including a big coffee table where they can sit and watch their big screen tv.” I know she was joking but knowing full well there was more than a few threads of truth in that statement. I am becoming a bit concerned about this type of mentality with buyers as it shows signs of either laziness or lack of vision in what a home can be. As I have mentioned many times before, the glossy/glitzy presentation of a structure is just the thin layer of what a home is all about. I prefer people to be more pro-active and dig deeper while investigating the real “bones” of the home. I’ve always admired buyers who look past the staging and frilly accessories of homes on the market. They are the ones who know that all the visual stimuli is gone when they do their final walk-thru prior to closing. Believe me, if looks would speak, I’ve seen many a disappointed eyes from buyers over the years while doing their final inspections. I encourage buyers as much as possible to look past sellers’ “stuff” while out looking at homes. I’m confident there will be a fortunate buyer who’ll discover the true under-the-radar value in this home. Click on the link below and view this listing.